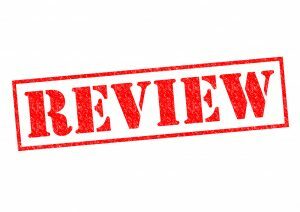 Online Reviews: The Silent Killer or Praising Hand to Businesses? We all know that the internet is a big part of our everyday lives. We use it to stay connected to family and friends, to entertain ourselves by watching endless cat videos, to do our shopping and so much more. Another big way we use the internet is to do research. We are in a world of limitless information and the more there is out there, the more we want it! Think about any time you want to buy a new product or try a new service. More times than not, you will research online to see what you can find out about it. And, most importantly, you want to see reviews of other people who have used that product or service. Well, you are no different than all the other consumers out there. When someone is considering trying you service, they will look for online reviews. Some businesses will have a ton of reviews, both positive and negative. Having people talk about your product or service online can be a good thing. It can give you credibility and help increase your SEO results. Positive reviews are great; but, when people feel they have received poor service or a faulty product, they want to post their experience publicly even more. So, that brings us to the question: are reviews killing your business or are they offering that hand of praise to show the public how great you are? Often, business owners feel stuck, discredited and attacked when a consumer posts a negative review. The situation the consumer posted about could be exaggerated, could possibly not even be true or perhaps you corrected the issue and their review only shows the negative. Yes, the public will see these and just like anything else out on the internet, those reviews are there forever. However, don’t fret! There is action you can take in order to help your cause. The first, and likely most important, thing you need to do is not take it personal. Try to get yourself on neutral ground and see things from that consumer’s point of view. Ask yourself how you would feel if the situation happened to you as a consumer and how it might affect you. You never want to get into an argument online and make a situation they felt was wrong, even more negative. It’s best to remain calm and positive. Let the consumer, and the public, know that they are being heard and that you care. Your post can be short and simple yet positive. The next thing to do is make sure you are responding. Even if you have just started addressing your reviews, go back and post something as a response. You want to show them that they have been heard and that you have either made a change to resolve the issue and prevent it from happening again or are working on it. It’s common for people to think they only need to respond to the negative reviews but in all actuality its good practice to respond to the positive ones as well. You can thank them for their business and for their feedback. Responding to all your reviews in a peaceful manner will help boost your online reputation and shed light on how well you provide quality customer service.